Trung’s experience is not an unusual story in the restaurant business. Restaurants around the globe–from San Francisco to Singapore– have identified the same problem: it has always been difficult to figure out what customers actually think about their meals and service. Is the pad thai too spicy or not spicy enough? Is the risotto dish working? In Singapore, YOLO Food restaurant owner Alexis Bauduin said his risotto dish was a good seller but saw that this was the one dish with the highest rating variation on UberEATS. Alexis realized that the kitchen struggled to keep the dish consistent, so he opted to use his kitchen’s time more efficiently and is now using UberEATS as a testing ground for new strategic directions like larger meal options and new dishes like acai bowls. What if all restaurants got this kind of insight about their business? 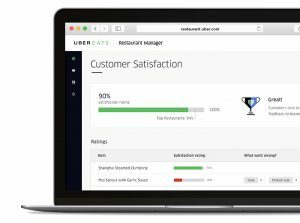 Enter the new UberEATS Restaurant Manager: serving up actionable data. We’re launching this tool for restaurant partners globally to use as the single place for managing day-to-day operations, digging into feedback and information that results in data-driven decisions. Now, restaurants will have access to insights about their service quality, customer satisfaction, and sales alongside access to the tools to make specific adjustments to improve their business. With Restaurant Manager we hope to serve up a winning recipe–better data leads to better food and service, which means better business. Over the last year, we’ve been hard at work building on the UberEATS experience as we grow in more and more cities around the world. Thanks to our restaurant partners’ feedback we have made it simpler for restaurant partners to control order flow, manage menus, and improve exposure. Our commitment to restaurants extends beyond helping grow their customer base with efficient and reliable delivery, to sharing actionable data and tools to help improve their business. There’s more to come–so stay tuned. We’ll continue to improve Restaurant Manager so that all of our restaurant partners have the decision-making data and tools they need to grow on their own terms.